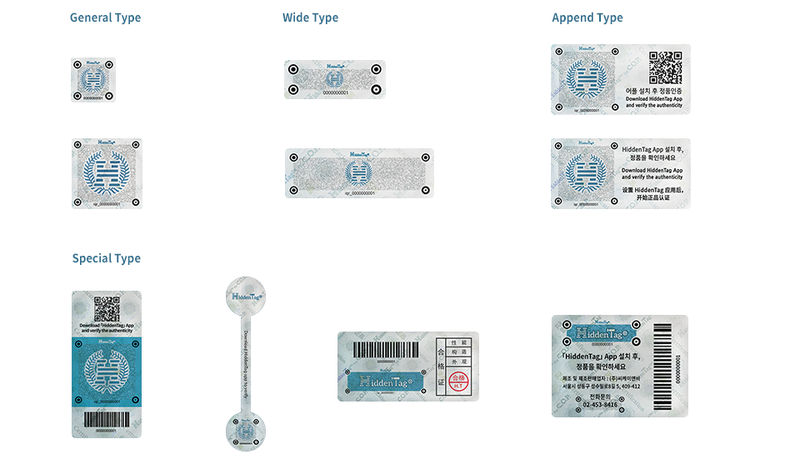 HiddenTag smart hologram labels offer brand identity with their customized design and strong security. The minimum sizes of our General and Wide Type Labels are 12*12（mm） and 20*8（mm） with bigger sizes available. We also provide customized labels with your company or brand logo, picture of the brand ambassador and others. Hidddentag offers customizable options for high-quality and anti—copy purpose. 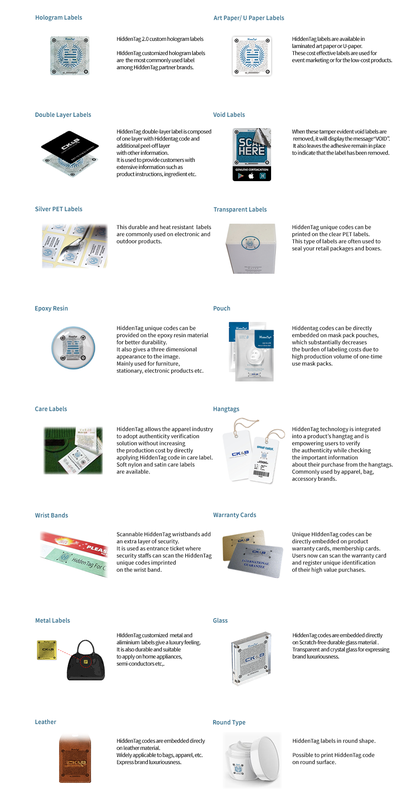 HiddenTag label materials are available in a full range of materials, patterns and colors for specific uses. We provide different forms of delivery to match your production facility. Sheet form is provided for the manual application of labels. Roll form is used when labels are applied to products, using automatic or non-automatic labeling machines and applicators.